The ANMAT regulations for registration of biological drug products are relatively new (October 2011) and are established in the Disposition 7075. Whole blood, plasma and human blood cells and its components. To request marketing authorization for a biologic product, the information required has to be presented in a dossier with the information and format specified below, consisting of a general index, the registration form and five chapters: Administrative Information and Indications, Summary of Technical Chapters, Pharmaceutical and Biologic Information, Preclinical Information and Clinical Information. 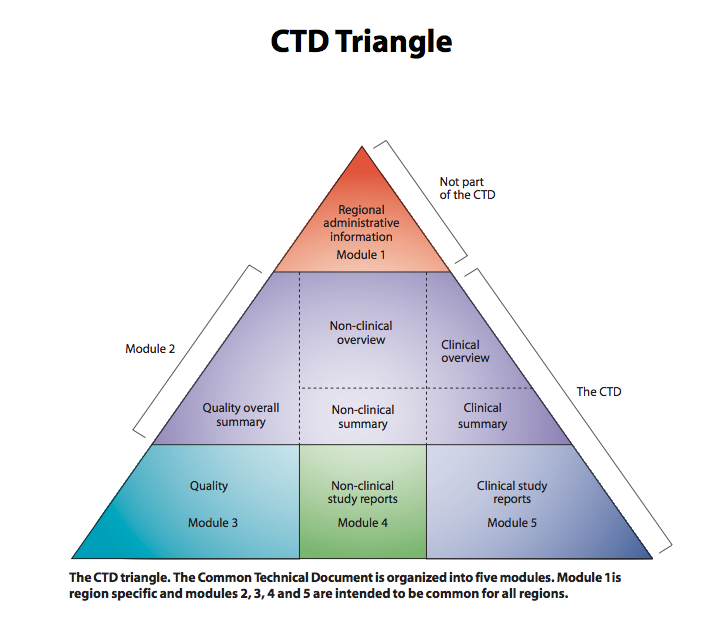 Note the high level of similarity with the CTD format. For the case of biological drug products obtained through processes of recombinant DNA, and for monoclonal antibodies, the complementary Disposition 3379 (June 2012) specifies additional information to include in the dossier, (in addition to the applicable to all biologic products) with focus on more detailed process description, process control, origin and production of raw materials, immunological processes and other relevant aspects. 3.8. Strength, concentration or doses per unit. 3.9. Complete unitary formula (per dose, dosage unit or percentual) including excipients. 3.11. Summarized description of API source/s. 3.12. Presentations including primary and secondary packaging, both for final-user distribution and for hospital use. 3.13. Content per marketed unit. 3.18. Pharmacodynamic, pharmacokinetic and toxicologic properties. 3.25. Intoxication: symptoms, urgency treatment and antidotes. 6.1. Description of installments and equipment involved in product manufacturing. 6.2 Safety assessment regarding external agents. Products containing human/animal material, or when human/animal material has been used during the manufacturing process: Transmisible Spongiform Encephalopathy risk assessment. 4.2.1. Manufacturing flux diagram indicating control process parameters, specifications and reference to analytical methods. 4.3.2. Characterization, physicochemistry, biochemistry and immunology of API. 9.2. Safety assessment regarding external agents. Products containing human/animal material, or when human/animal material has been used during the manufacturing process: Transmisible Spongiform Encephalopathy risk assessment. 3. Copy of ANMAT authorization certificate/s for declared contract manufacturing and quality control site/s located in Argentina. 4. Copy of document enabling solicitor to representan of foreign company, if applicable. 6. GMP certificate issued by health authority of origin country for all manufacturing sites, own and contracted. 7. GMP certificate issued by ANMAT and corresponding supporting disposition. 8. Origin CPP, if the final product is already authorized for marketing. 9. List of countries where the finished product is registered and/or marketed. 10. Information on countries where the drug product is undergoing sanitary registration process, and on countries which have rejected the application for registration.